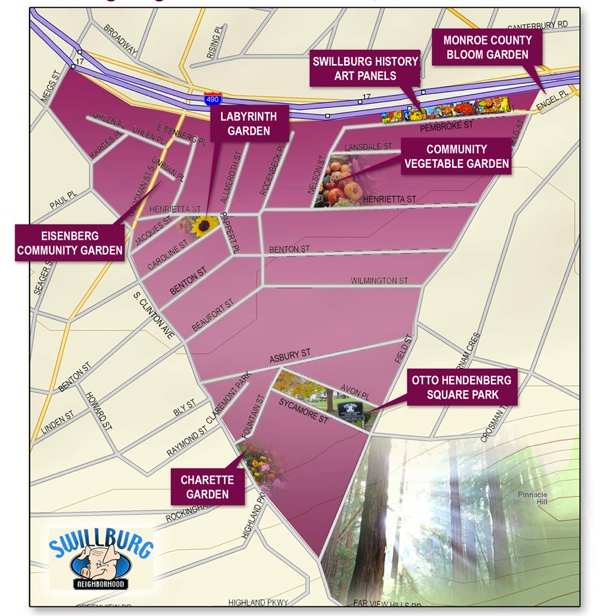 Gardens/Parks – Welcome to Swillburg! Swillburg is home to a wonderful park and many beautiful gardens. All the gardens were created and are currently maintained by volunteers in the neighborhood. One resident commented that maybe the reason we have such great gardens is because of the natural fertilizer left by all the pigs who used to live here! But really, we think it’s mostly because of the hard work and dedication of many Swillburg volunteers. Want to learn more about each of our community spaces?